​Pasp was founded in late 1989, right as Brazil was reopening its economy to the world. After being away for an extended period of time, the Brazilian food and beverage industries desperately needed to renew their industrial parks and invest in modern technology. Recognizing this opportunity, Pasp embarked on a, now almost three decade long, journey to represent the best international suppliers and offer innovative solutions to the Brazilian market. ​Currently, Pasp continues to bring innovation and serving its customers with warmth, expertise and efficiency. 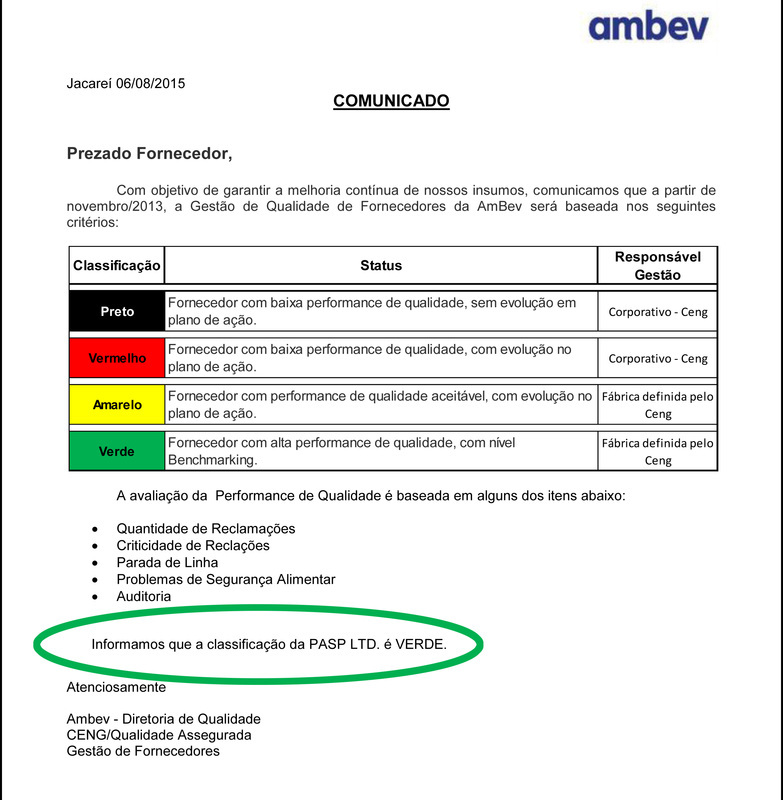 In 2015, Ambev acknowledged and certified Pasp as a "Most Valued Supplier."